Former city council member Laura Morrison speaks to crowds after the defeat of Proposition One during the Vote Against Proposition One Election Night Watch Party at Scholz Garten. Ride-hailing companies Uber and Lyft were dealt a stunning blow Saturday, as Austin voters rejected Proposition 1 by a 12-percent margin. The proposition, put on the ballot by a petition circulated by the political action committee backed by Uber and Lyft, would have repealed a city ordinance requiring fingerprint background checks for ride-hailing drivers. The measure failed, 56 percent to 44 percent, with about 17 percent of eligible voters turning out. Both Uber and Lyft vowed to end operations in Austin on Monday if Prop 1 failed. After the results were in, both companies appeared set on following through. Both statements seemed to indicate a willingness to negotiate with city over the fingerprinting issue. City officials appeared willing to meet them. “The people have spoken tonight loud and clear,” said Austin Mayor Steve Adler in an emailed statement. 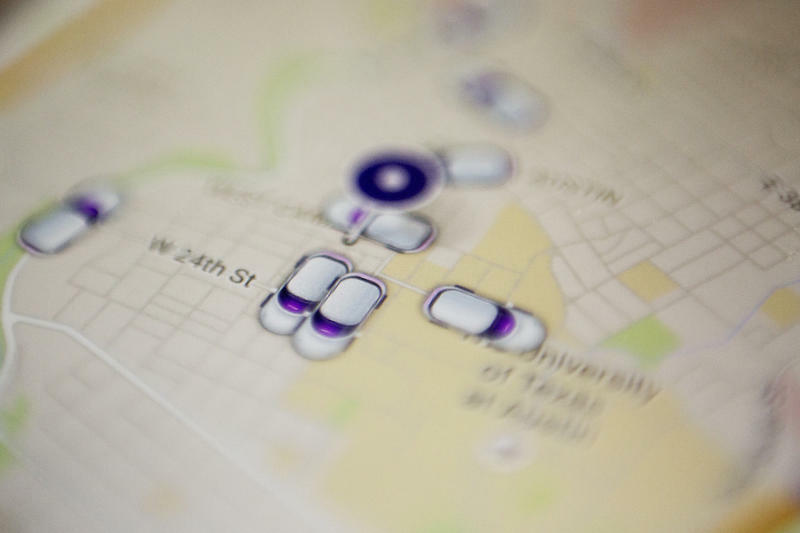 “Uber and Lyft are welcome to stay in Austin, and I invite them to the table regardless. Austin is an innovative and creative city, and we'll need to be at our most creative and innovative now." Through Ridesharing Works for Austin, Uber and Lyft spent more than $8 million to campaign for Proposition 1. By contrast, the main opposition group, Our City, Our Safety, Our Choice raised and spent about $125,000. Ridesharing Works spokesman former Mayor Lee Leffingwell expressed disappointment in the results, but blamed the Council for the measure's failure. "The ballot language written by the City Council was intentionally confusing and a disservice to voters," Leffingwell said. Kitchen led the effort to enact fingerprint background check requirements. 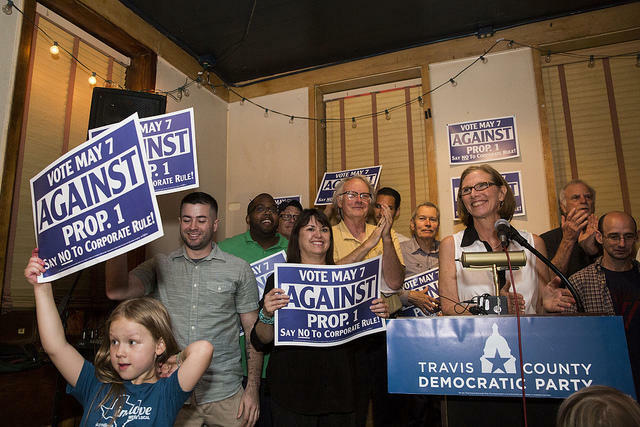 Opposition to Prop 1 was concentrated in East, North and South Austin, with many downtown and West Austin voting precincts seeing a majority of their voters supporting the measure. A map of how individual precincts voted on Proposition 1. Purple indicates districts that voted against the ordinance, blue indicates districts that voted in favor. Darker colors indicate stronger majorities. 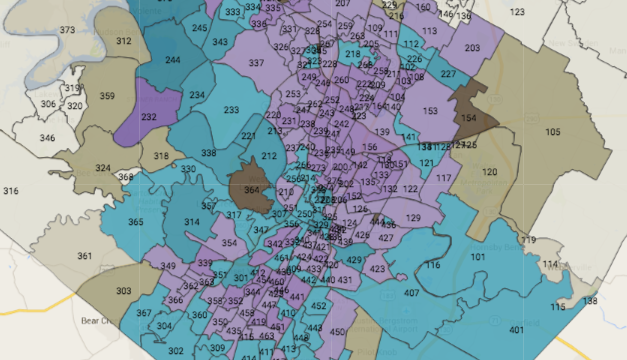 Explore Travis County's interactive election results map here. Should Uber and Lyft Leave, Could Others Step Up? Unbeknownst to some, the City of Austin has licensed five ride-hailing companies for operation. In case you haven’t opened your mailbox or clicked on your TV recently, two of those companies, Uber and Lyft, are currently embroiled in a public vote over what regulations the companies should be subject to. The political action committee that put Proposition 1 on the ballot and is campaigning for it received about $6 million from ride-sharing companies Uber and Lyft in the past month. 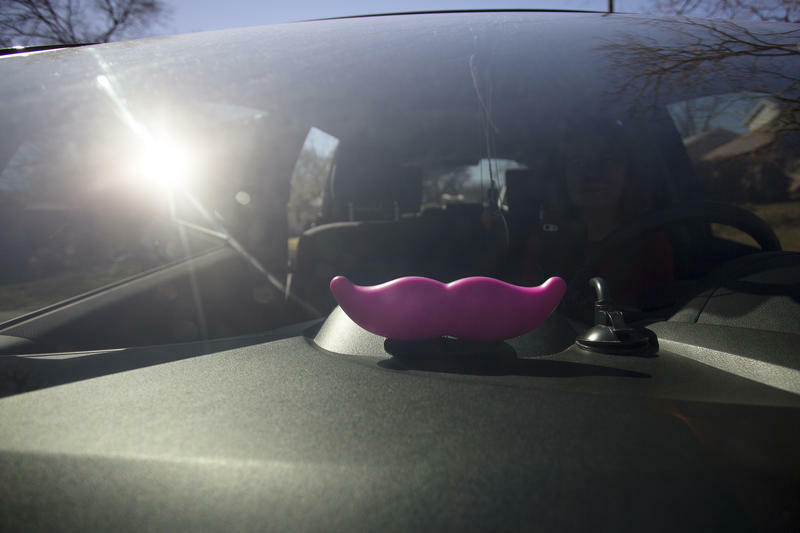 According to documents filed Friday with the Austin City Clerk’s office, Ridesharing Works for Austin raised that sum between March 29 and April 28. The campaign has spent the bulk of that money over the past month, in staff salaries, television advertising, direct mail and consulting work.